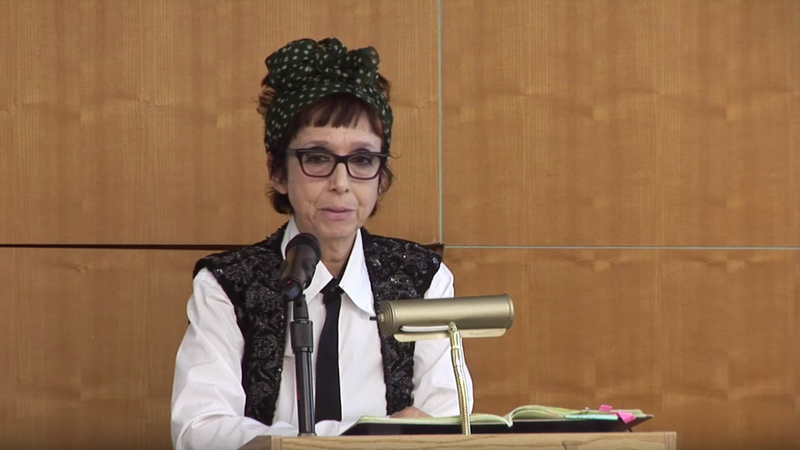 What Are We to Make of the Case of Scholar Avital Ronell? By many accounts, the New York University professor Avital Ronell—a German and comparative literature scholar and a superstar in her corner of academia— is a brilliant woman and a sought-after advisor. Former students who have taken her classes describe her as “original” and “inspiring.” Ronell, who is in her 60s and has taught at NYU for more than two decades, inspires a kind of admiration that some have called “mystical.” She is the kind of professor whose classes students don’t want to end. But, for the past year, Ronell has also been the subject of a sexual harassment investigation by NYU’s Title IX office, initiated after a former graduate student, Nimrod Reitman, alleged in a complaint filed last September that she had sexually harassed him over a period of several years. On August 13, the New York Times reported that after an 11-month investigation, the university has found Ronell responsible for sexually harassing Reitman while he was earning his Ph.D. The university has suspended her for a year without pay and has also mandated that any future meetings she has with students will be supervised upon her return. Reitman and his attorney are considering filing a lawsuit against NYU, as well as Ronell. The letter, which was never meant to be public, was subsequently posted on the philosophy blog Leiter Reports, with the title, “Blaming the victim is apparently OK when the accused in a Title IX proceeding is a feminist literary theorist.” It is likely that without the publication of this letter, and without the signatures of so many influential and feminist scholars, many if not all of the details of Reitman’s complaint would have remained confidential—it is almost certain that much of this now very public and increasingly messy case would have been swept under the rug (a situation that I suspect NYU officials would have preferred). The letter lays out a series of defenses for Ronell similar to the arguments used to justify sexual misconduct committed by powerful men: “We wish to communicate first in the clearest terms our profound an enduring admiration for Professor Ronell whose mentorship of students has been no less than remarkable over many years. We deplore the damage that this legal proceeding causes her, and seek to register in clear terms our objection to any judgment against her,” the letter states. The insular world of academia, like many other industries in which a hierarchical power structure offers rewards and protection to those at the top and enacts a steep price on those with little institutional clout, is beginning to reckon with the rampant sexual harassment and abuses of power that are endemic within its walls. In October of last year, The Atlantic posed the question, “When will the ‘Harvey effect’ reach academia?” Two months later, a crowdsourced project asked people to submit stories of sexual harassment they had experienced while in academia; to date, it has collected more than 2,400 entries. More students—almost always women—are beginning to speak out about the harassment they face from professors and those in power—almost always men. The institutional response has been unsurprisingly uneven, often determined by the value of individual faculty to a university. Diane Davis, the chair of the Department of Rhetoric at the University of Texas at Austin, was one of the signatories to the letter of support. In a statement she wrote to the Times, she states her support for Title IX and the #MeToo movement, support which she reiterated to The Chronicle of Higher Education. “I stand with—I mean, obviously—every male, female, transgender, and nonbinary victim of abuse, sexual or otherwise, inside or outside of the academy. I’m relieved, and we should all be relieved that cultures of abuse are finally being aggressively exposed and challenged everywhere,” Davis wrote in a statement to The Chronicle. The problems began, according to Mr. Reitman, in the spring of 2012, before he officially started school. Professor Ronell invited him to stay with her in Paris for a few days. The day he arrived, she asked him to read poetry to her in her bedroom while she took an afternoon nap, he said. “She put my hands onto her breasts, and was pressing herself — her buttocks — onto my crotch,” he said. “She was kissing me, kissing my hands, kissing my torso.” That evening, a similar scene played out again, he said. “I said, look, what happened yesterday was not O.K. You’re my adviser,” he recalled in an interview. Reitman, through his attorney, declined to be interviewed by Jezebel. The kind of behavior Reitman alleges against Ronell is not an isolated incident, but rather, thrives in a system in which professors wield a wildly disproportionate amount of power over their students, particularly graduate students. Advisors, especially senior faculty like Ronell who are highly regarded in their field, have the ability to dictate the futures of their mentees post-graduation when they enter a market where jobs—especially tenure-track jobs—are increasingly scarce. This is exacerbated by a situation in which the blurring of lines between the personal and professional in the relationships between professors and their graduate students is, if not the norm, not particularly frowned upon and often encouraged. “People know that she is very friendly and open and crosses traditional boundaries in relationships with her students,” Safit, Ronell’s friend and NYU colleague, told Jezebel. [Ronell] is a walking provocation for a stiff Politically Correct inhabitant of our academia, a ticking bomb just waiting to explode. A person with minimal sensitivity can, of course, immediately discern Avital’s affected surface as the form of intense vulnerability and compassion. But in today’s academia persons with sensitivity are more and more rare. Avital’s “eccentricities” are all on the surface; there is nothing sleazy hidden beneath her affected behaviour, in contrast to quite a few professors that I know who obey all the Politically Correct rules while merrily screwing students or playing obscene power games with all the dirty moves such games involve. Again, neither Ronell’s actions nor the defenses offered up by her colleagues are outliers. They both exist in the weird power structures particular to academia, where superstars like Ronell have outsized influence and where colleagues often close ranks around their own. As the writers Dan Solomon and Jessica Luther pointed out in a deeply reported piece for Splinter, the old idea that close relationships between professors and students necessarily fosters an intellectually stimulating environment, helps create the conditions for abuses ranging from small, cruel indignities—like being asked to pick up your advisor’s dry cleaning—to sexual and emotional abuse. It’s hard, after all, to say no to a “friend” who has the power to determine the path of your professional career. “All of this is of great benefit to the people at the top,” Solomon and Luther wrote. Though Ronell’s case has been framed as one of a “feminist” scholar running afoul of Title IX—and has generated interest because of its reversal of the typical gender dynamic—that framing is perhaps too simple to account for the ways that power accumulates around influential scholars, facilitating abuse and protecting them from any real consequences (as many have pointed out, Ronell is not a feminist scholar; her work largely focuses on canonical men). It’s also not one in which the central question revolves around why a man is using Title IX protections against a woman. Feminists, after all, have long fought for the expansion of Title IX, and if anything, it underscores that abuse, at its heart, is about power. Rather, Ronnell’s case is ultimately a more familiar story—of deeply fucked up institutions where star professors hold too much power to determine the future of their protégés, and where professional relationships, to the detriment of young academics inhabiting a precarious professional landscape, are often inextricably bound to personal ones.